These essential oil blends and recipes may be soothing and comforting during times of mild depression and anxiety. 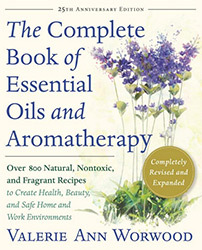 If you haven't already, read AromaWeb's Aromatherapy for Depression Guide. When selecting and using essential oils, follow all safety precautions and remember that aromatherapy should not be used as a substitute for medical treatment. Important: I am not a medical or psychiatric practitioner. This recipe isn't intended to offer medical suggestions. Essential oils may help, but aromatherapy and the use of essential oils is not a substitute for proper medical care. It cannot cure the underlying causes of the blues or depression.